Here is a photograph of Alan Peters of Square One Studios, Supercharge, The Lawnmower etc. taken at the Everyman Bistro. Its Alan Peters and some guy singing. 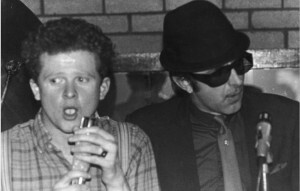 That was then, today its a picture of Mick Hucknall and some guy in shades.